Remove outer wrapping from brie wheel. Using a very sharp knife, remove the rind from the top of the wheel only, leaving the rind on the sides and bottom intact. Place brie in a shallow pie plate or casserole dish that is slightly bigger than the brie itself. Spread the Mission Fig Balsamic Spread over the top of the brie, to within 1/4 inch of the edge all the way around. 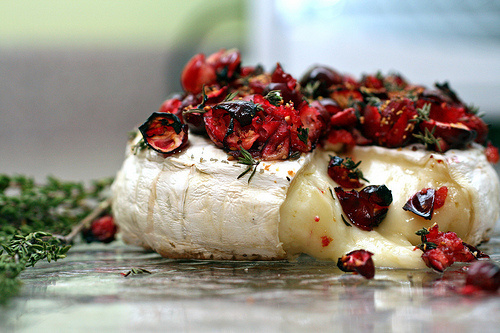 Bake brie in the preheated oven until heated through; about 12-15 minutes. Serve in the casserole dish or transfer carefully to a serving plate. Serve warm with crackers or bread.